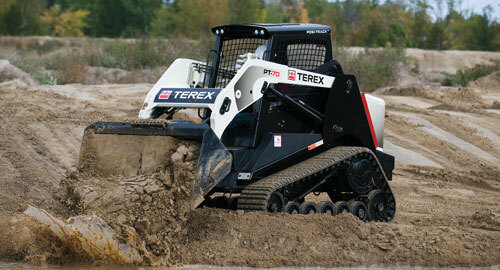 The PT-70 is a high performance loader with premium features and exceptional value. It works productively in a wide range of applications using a patented Posi-Track™ undercarriage technology with suspension for maximum traction, flotation and operator comfort. 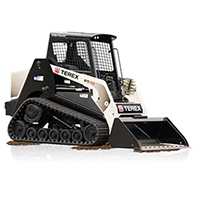 With a narrow machine width (1676 mm/66 inches) the PT-70 can easily maneuver and operate in confined or congested work sites. Its purpose-built chassis was designed to be a heavy duty machine with good balance and performance within a compact and durable package. A spacious comfortable operator station with an adjustable contour seat allows the operator to work in comfort all day long. A high-performance loader with premium features and exceptional value. Very low ground pressure allows work on soft or sensitive surfaces with minimal damage or impact. Also offers exceptional performance on firm, stable ground conditions.